Can Engine Oils Replace Hydraulic Oils? "It is a common practice in the construction and mining industries to use engine oil SAE 10, SAE 20 or SAE 30 with the lowest API rating as a substitute for hydraulic oil ISO 32, ISO 46 or ISO 68, respectively for hydraulic systems of heavy equipment. Is it a problem to use these? What integrity or lack of it does it give to the machine and to the people working around the site?" This is dependent on the equipment and manufacturer. 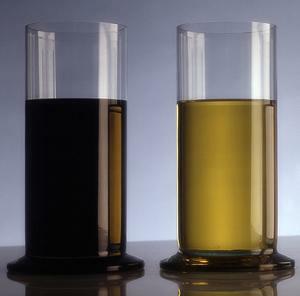 There is a class of hydraulic fluids (DIN 51524) that contains dispersive and detersive additives much like engine oils. The use of these fluids is approved by many manufacturers and can offer several advantages in mobile equipment such as preventing varnish and sludge. However, these detergents and dispersants can cause the fluid to emulsify any water that is present, rather than shedding water as you would want in a standard hydraulic system. The water is kept in suspension, which can cause a reduction in both lubricity and filterability, leading to the potential for corrosion and cavitation. These problems can be avoided if the water content is maintained below 0.1 percent. Hydraulic fluid with the ability to emulsify small amounts of water can be beneficial in mobile applications. In some cases, the original equipment manufacturer even recommends using multi-grade engine oil rather than a single viscosity fluid. Obviously, SAE and ISO use two different scales to measure viscosity. SAE 10W is equivalent to ISO 32, SAE 20 is equivalent to ISO 46 and 68, and SAE 30 is equivalent to ISO 100. As you can see, there is a bit of a difference between ISO 68 and SAE 30. The viscosity of the fluid largely determines the oil temperatures within which the hydraulic system can safely operate. So if you use oil with too high a viscosity for the conditions in which the machine must operate, the oil won’t flow properly or lubricate adequately during a cold start. 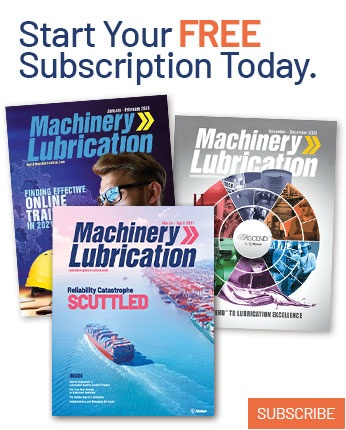 Likewise, if you use oil with too low a viscosity for the conditions, it won’t maintain the required minimum viscosity, and therefore adequate lubrication, on the hottest days of the year. Some equipment manufacturers recommend using multi-grade engine oil in hydraulic systems for their mobile equipment. Viscosity index (VI) improvers extend the operating temperature range for the fluids. Just keep in mind that over time these VI improvers will "shear down," which will cause a change in the viscosity of the fluid at a given temperature. This will have an impact on the performance of the system.